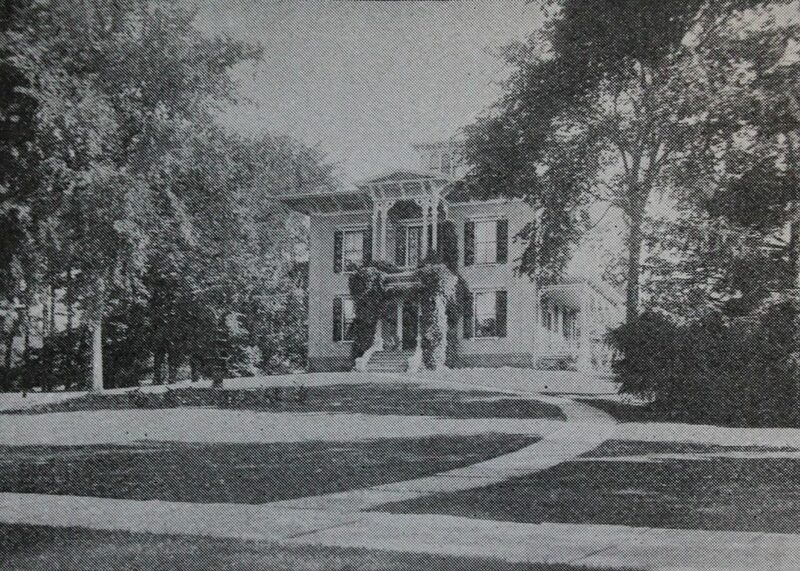 The Luther Bodman House, at the corner of Elm Street and Round Hill Road in Northampton, around 1894. Image from Northampton: The Meadow City (1894). This elegant Italianate-style mansion was built around the 1860s, and was designed by prolific Northampton architect William Fenno Pratt. 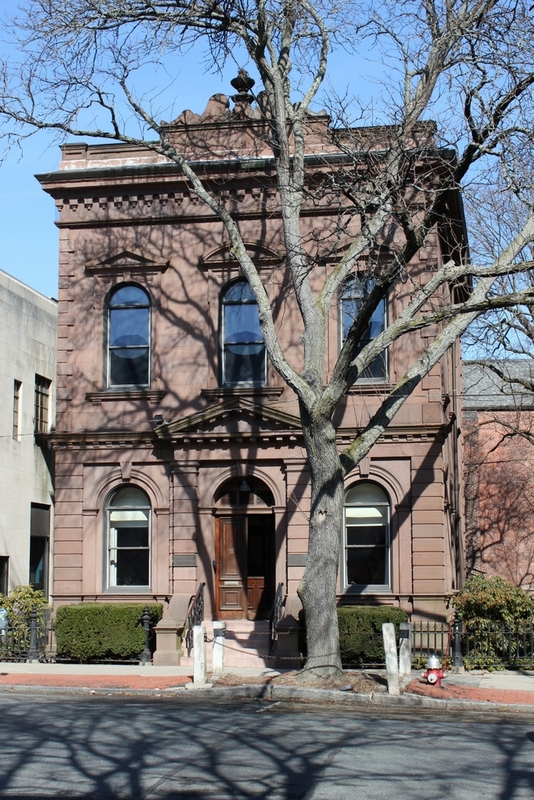 It was the home of Luther Bodman, a banker who served as president of the Hampshire County National Bank and the Hampshire County Savings Bank, and during the 1870 census he was living here with his wife Philena and two of their children, Ellen and Clara. At the time, his real estate was valued at $15,000, plus a personal estate of $100,000, giving him a total net worth equivalent to over $2.2 million today. Luther Bodman lived here until his death in 1887, and Philena died in 1894, around the same time that the first photo was taken. However, their daughter Clara remained here until around 1949, shortly before her death in 1951 at the age of 92. The property was subsequently acquired by Smith College, and in 1954 the house was demolished in order to make way for a new college chapel. The Colonial Revival-style building was completed the following year, and was a gift of Helen Hills Hills, a 1908 Smith graduate. 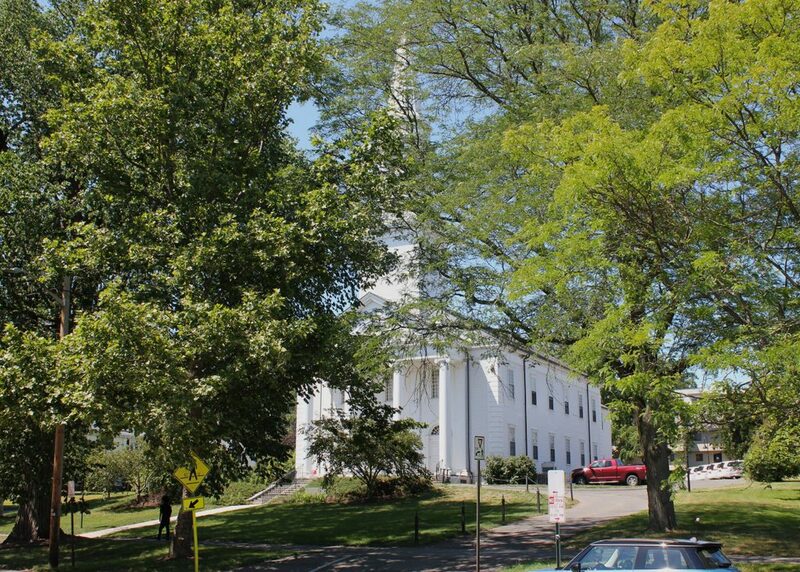 Named the Helen Hills Hills Chapel in her honor, it remains here today, and continues to be used by Smith College as a chapel. The First Church parsonage, at 74 Bridge Street in Northampton, around 1894. Image from Northampton: The Meadow City (1894). This house was built in 1866, and was the work of William Fenno Pratt, a local architect who designed a number of buildings in Northampton during this era. Upon completion, the house served as the parsonage for the First Church, which was located about a third of a mile west of here in the center of Northampton. Zachary Eddy was the pastor of the church at the time, but the following year he was succeeded by William S. Leavitt, who served from 1867 to 1881. It was during his pastorate, in 1876, that the old church burned down, and was replaced a year later by the present church building. 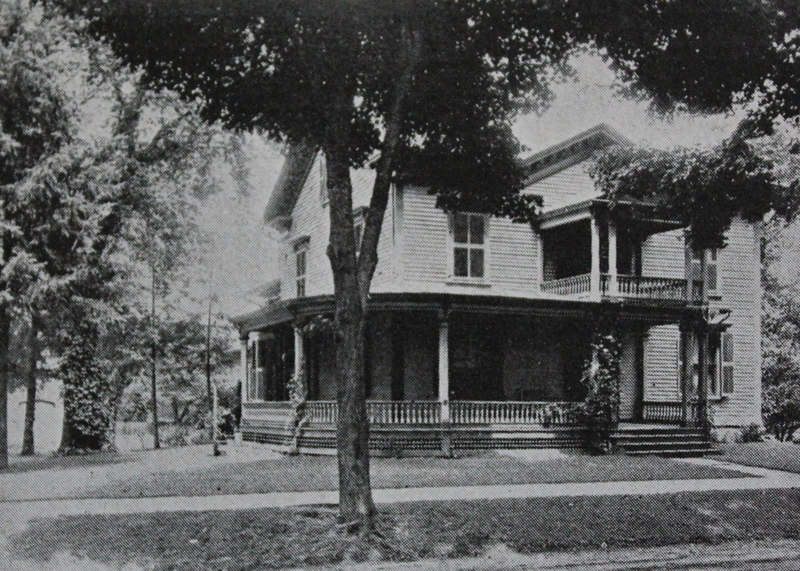 Herbert W. Lathe lived here during his pastorate from 1882 to 1891, followed by Henry T. Rose, who was the pastor of the church around the time that the first photo was taken. He lived here with his wife Grace and their daughter Helen until his retirement in 1911, and the house continued to be used as the parsonage for several more pastors. Based on listings in the city directory, it appears that John W. Darr was the last one to reside in the house, until he moved to California in the late 1920s. Around 1930 the house was sold to Frank W. Tomaszewski, a Polish immigrant who owned a garage on Masonic Street. He lived here for the rest of his life, until his death in 1975, and the house remained in his family for many years. At some point it became the Historic College Inn, and in the early 2000s a garage in the back of the property was demolished and replaced with a modern carriage house-style building, seen in the back left of the present-day photo. The only other significant change to this scene was the addition of solar panels to the roof of the house, but otherwise it remains well-preserved in its original 19th century appearance. 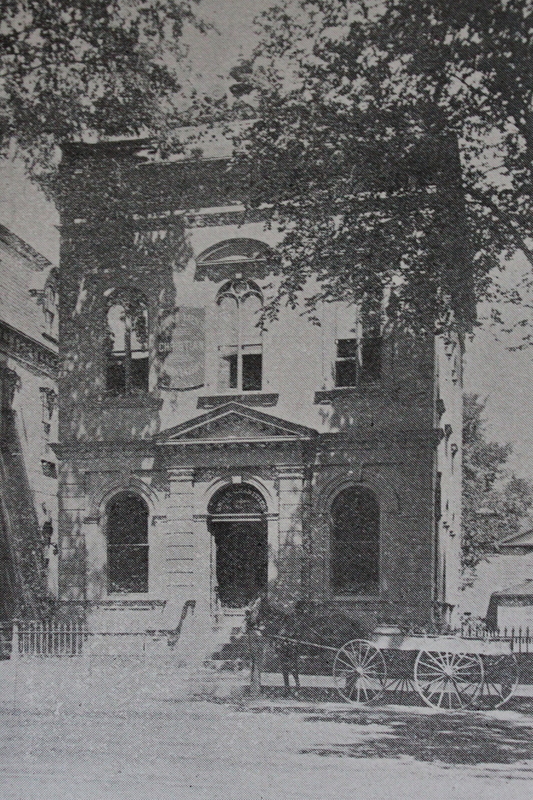 The Smith Charities Building on Main Street in Northampton, around 1894. Image from Northampton: The Meadow City (1894). Smith Charities is perhaps one of the most unusual charitable organizations in the country, and its origins date back to the death of its benefactor, Oliver Smith, in 1845. Born in nearby Hatfield in 1766, Smith was a farmer who came from modest means, but over time he became one of the wealthiest men in the region. A sort of Scrooge-like figure, Oliver Smith was a lifelong bachelor who had a reputation of being a miser. He made a fortune by investing in land in Ohio, and maintained his wealth through frugal living, rarely spending money on himself or others. He did make several charitable contributions during his lifetime, but his most significant bequest came after his death, when he left his $370,000 estate to establish Smith Charities. Under Oliver Smith’s will, his estate was to be administered by three trustees, who would be chosen by elected representatives from eight towns in Hampshire and Franklin Counties: Amherst, Deerfield, Greenfield, Hadley, Hatfield, Northampton, Whately, and Williamsburg. The will also specified how the money was to be used. Part of it was to be used to help the poor and needy of these eight towns, including paying for apprenticeships, providing marriage portions for young women, and supporting widows. Another portion of his estate was to be set aside to accumulate interest for 60 years and, upon maturity in 1905, was to be used to establish an agricultural school in Northampton. This school, now the Smith Vocational and Agricultural High School, is still in existence, and still bears his name today. Despite the public-mindedness of his bequests, his will did not meet with universal approval. 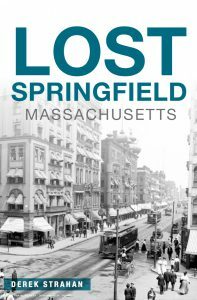 The Springfield Republican questioned, “How much wiser and better could he have disposed of is money in his life time, for the benefit of others, and at the same time added to his own happiness,” while the Hampshire Gazette gave an even more pointed rebuke, arguing that someone cannot be truly benevolent if he waits until after his death to give away money. 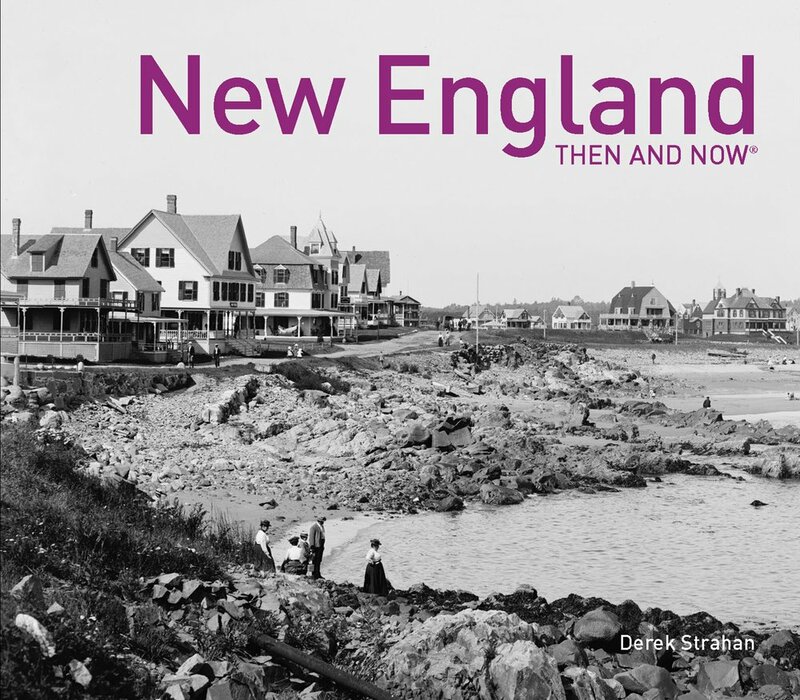 Others, reflecting the conservative New England work ethic inherited from their Puritan ancestors, were skeptical of such a charitable organization, fearing that it would encourage laziness among the poor. Smith’s will was even less popular with his relatives, who, being thus disinherited, contested the will, claiming that one of the three required witnesses was not of sound mind. The resulting legal battle became a public spectacle, with each side retaining the services of high-profile attorneys. Former Massachusetts Senator Rufus Choate represented Smith’s relatives, while his successor in the Senate, Daniel Webster, represented the will’s executors, and the two argued the case in the old Hampshire County Courthouse at the corner of Main and King Streets. Webster ultimately prevailed, the will was upheld as valid, and Smith Charities was subsequently established. In 1865, the organization built this two-story building on Main Street as its headquarters. It was designed by prolific Northampton architect William F. Pratt, and features an elaborate Italianate-style brownstone exterior. 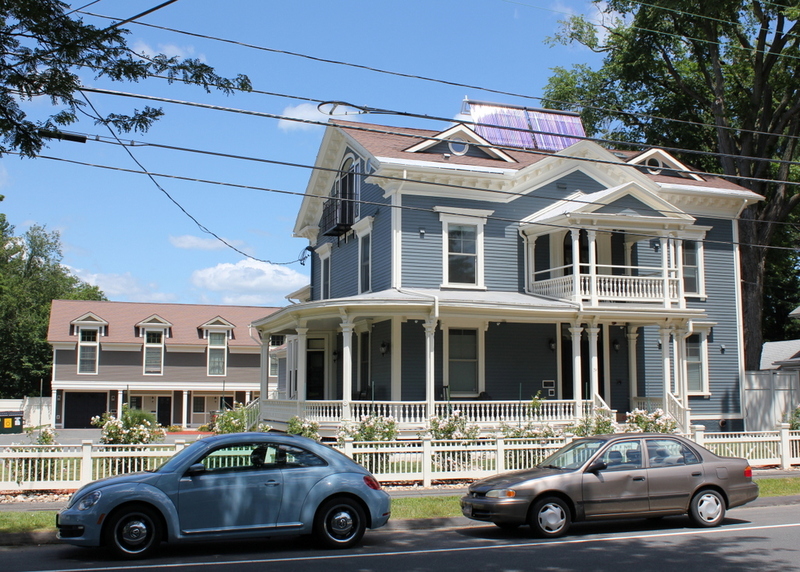 The second-story windows have since been replaced, but otherwise the building’s appearance has not changed much, and it still houses Smith Charities, which continues to provide support for people in the eight towns that Smith listed in his will. Despite criticism from many of his contemporaries, Smith proved far-sighted in his plans, and the charity has given out millions of dollars since his death, far more than his initial bequest. His name lives on in both Smith Charities and Smith Vocational and Agricultural High School, but not, as one may have assumed, in Smith College. The college is instead named for his niece, Sophia Smith, who was the daughter of his brother Austin. Sophia had inherited a fortune from her father after his death in 1861, and she, perhaps following her uncle’s example, willed the money for charitable purposes, stipulating that it be used to establish a college for women.